Pablo Barrios and G&C Quick Star 11 won the $40,000 Surpass Grand Prix, CSI 2* during week 3 of the FTI Winter Equestrian Festival. Photo © Randi Muster/Mustphoto, Inc., www.mustphoto.com. Wellington, FL – February 2, 2011 – G&C Farm started out the 2011 FTI Winter Equestrian Festival with a variety of success, including victory in the $40,000 Surpass Grand Prix, CSI 2* during week 3 for Pablo Barrios and G&C Quick Star 11. G&C Farm is based in Wellington, FL, and owned by Gustavo and Carolina Mirabal of Venezuela. Barrios, who competes for Venezuela, is also based in Wellington. G&C Farm is the title sponsor of week 8 of the FTI WEF, the CSIO week, and the presenting sponsor of the $75,000 FEI Nations Cup on Friday, March 4. Barrios, who is currently ranked number 26 in the FEI ROLEX world rankings, will be the anchor of the Venezuelan team in the Nations Cup. In the $40,000 Surpass Grand Prix, Barrios and G&C Quick Star 11 set the time to beat with a clear round in 39.87 seconds. The typey mare, who jumps in a hackamore, kept the pedal to the metal throughout and was very efficient through the turns for the win over McLain Ward and Schuyler Riley. Barrios plans to compete with G&C Quick Star 11 in the $150,000 FEI World Cup Grand Prix, presented by Spy Coast Farm, during week 5 of the FTI WEF, the class he won last year with G&C LaGran. Also in week three, Barrios and G&C LaGran were fourth in the $6,000 Spy Coast Farm 1.40m Jumper Time First Jump-off class, while G&C Napoleon was 7th in the speed class. With G&C Sinatra, Barrios was fourth in a very fast jump-off in the $31,000 WEF Challenge Cup Round 3. Carolina Mirabal and G&C Leroy were third in the $1,500 Surpass Medium A/O Jumpers. Pablo Barrios and G&C Quick Star 11 won the $6,000 Spy Coast Farm 1.40m Jumpers in week 2, their first outing since the indoor season. It was the perfect class back in preparation for her grand prix win the following week. Other results from week 2 include: G&C In Color was second in the $6,000 Spy Coast Farm 1.40m Jumpers, while G&C Napoleon finished third. Mark Bluman and Cataro Ask were fourth in the $8,000 1.45m Jumpers. Maria Schaub rode G&C Tropigold to eighth in the $2,500 Charles Owen 1.35m Jumpers, while G&C In Color finished sixth. G&C Napoleon was fourth in the $6,000 Spy Coast Farm 1.40m Speed Challenge. Simply the Best finished eighth in the 6 Year Old Young Jumper qualifier. G&C Con Air was ninth in the 8 Year Old Young Jumper qualifier. Carolina Mirabal and G&C Leroy were fourth in the $1,500 Sentient Jet Low A/O Jumpers out of 52 entries, and Maria Emilia Mirabal was third in the Paddock Cakes Low Children's Jumper with G&C Lepanto. In week 1, G&C Farm started out the circuit well. Pablo Barrios and G&C Flash were third in the $8,000 G&C Farm 1.45m, while G&C Sinatra was fourth. Simply the Best won the Adequan 6 Year Old Young Jumper class. Barrios rode G&C In Color to third place in the $2,000 Pennfield Feeds 1.30m class, while Maria Schaub was seventh on G&C Tropigold out of a class of 86 entries. Schaub and G&C Tropigold were also in the ribbons when they placed sixth in the $2,000 Pennfield Feeds 1.30m Jumpers and seventh in the $6,000 Spy Coast Farm 1.40m Speed Challenge. Barrios and G&C Flash finished eighth in the $30,000 WEF Challenge Cup Round 1. With Simply the Best, Barrios won again in the $1,500 Adequan 6 Year Old Jumpers. Pablo rode G&C Con Air to eighth place in the 7/8 Year Old Young Jumpers and G&C In Color to 10th in the $6,000 1.40m Jumpers. Carolina Mirabal was double clear and seventh in the $1,500 Sentient Jet Low A/O Jumpers with G&C Leroy. 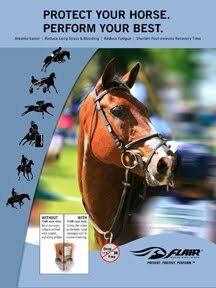 G&C Farm will continue showing during week 4 of the 2011 FTI Winter Equestrian Festival. 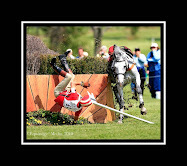 Please visit www.farmgc.com for more information on G&C Farm, their riders, and their horses. You can also find out more by visiting the G&C Farm page on Facebook or follow G&C Farm on Twitter. G&C Farm brings exceptional horses and top Venezuelan jumper riders to the highest levels of competition. Their state-of-the-art, full-service facility is located in Wellington, FL. The vision of G&C Farm is to improve the instruction and training of their top jumper riders and horses in order to seek a place on the Venezuelan team for all high level tournaments and top competitions, including the World Equestrian Games and Olympic Games. 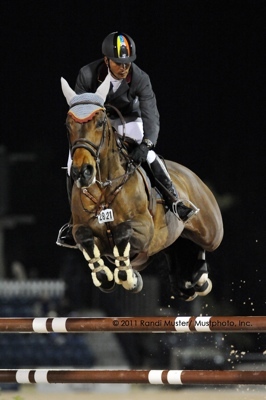 G&C Farm sponsors top grand prix rider Pablo Barrios of Venezuela, as well as other up and coming riders. The technical advisor at G&C Farm is Olympic Games course designer Leopoldo Palacios.